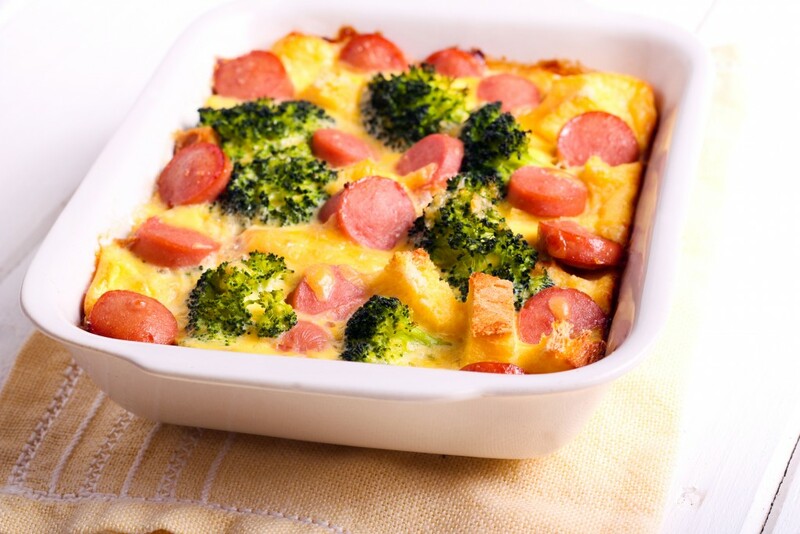 A filling of broccoli and a topping of sliced tomatoes give this breakfast casserole an extra dose of nutrition; and Carolina Pride pork sausage ensures excellent flavor. 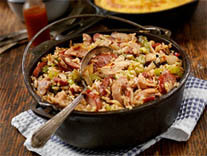 Place sausage in a large skillet. Cook over medium-high heat until evenly brown. Drain, crumble and set aside. Preheat oven to 350 degrees F. Lightly grease 7x11-inch baking dish. In a bowl, mix cooked sausage, broccoli, and 1/2 cup cheddar cheese, ricotta cheese, eggs, milk, pepper and salt. Spoon the sausage mixture into the prepared baking dish. Spread the cheddar and ricotta mixture over the sausage mixture. Sprinkle with remaining cheddar. Arrange tomato slices on top. Cover with aluminum foil, and bake 30 minutes in the preheated oven. Uncover, and bake for an additional 15 minutes. Let stand for 10 minutes before serving.